This pecan pie is kind of like the one you grew up with, but it is also so very different. The texture is the same, but it is sweetened with honey and maple syrup instead of corn syrup for a deep and naturally sweetened flavor! This is the pie recipe MiMi originally created to go toe to toe with the BBQ Bacon Pecan pie from the Cupcake Project. 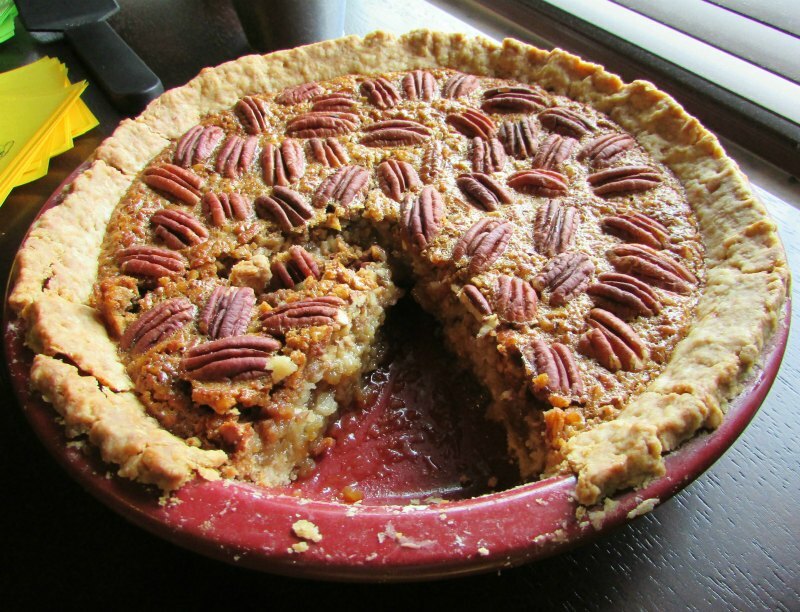 It is very similar to your traditional pecan pie, but the filling is sweetened with honey and maple syrup instead of corn syrup. She got going on a 3/4 measurement theme and it worked! She decided to enter the brownie pecan pie, figuring she might need chocolate to go against the bacon. But the funny thing is, this is the pie that people were still talking about. It starts out tasting a lot like what you would think pecan pie would taste like, but is finished with a really nice honey flavor. It would be a hit at your Thanksgiving table, for sure! Add melted butter, brown sugar, honey, maple syrup, vanilla and vinegar. Stir in the chopped pecans and pour into the pie shell. Bake at 350 F for 45-50 minutes. Cool for at least an hour on a wire rack, then in the refrigerator for at least a couple more. I am pretty excited with how well this pie turned out. Both this and the brownie lovers pecan pie are original recipes that I created. I've never done the research and come up with my own pie recipe before. I've tweaked plenty though. I was so happy and relieved when they came out so well. Pops wants me to make this one again this fall. I'd be happy to help him eat it! Maple syrup in pecan pie - genius!! I'm stopping by from Snickerdoodle Sunday & now I'm following you on google+ & facebook. Oh my. Oh My! I want this NOW! The only thing I am missing is the cider vinegar! Thanks for sharing this on Happiness is Homemade Link Up. It really was soooo good! Thanks for hosting! They are pretty darn sweet. Fortunately I love sweet! This is a really good version, it cleans up the ingredients a bit but leaves all of the sweet! Oh wow, your pecan pie looks scrumptious!!! I remember my grandmothers homemade oodles week, we had them at least once a week!!! Thanks for sharing on the #OMHGWW this week!! Nothing like some good old fashioned comfort food! Thank you so much for stopping by. Have a great week as well! Thank you, we really loved it! Thanks for hosting! I think so too! I enjoy the flavor this one gets from the maple and honey. I think this is my new favorite pecan pie, and that is really saying something after we just had the big pecan pie taste-off! I will definitely stop by, thank you! It really is pretty easy to make! The maple and honey really add something special. I hope you try it and love it! I would be in absolute heaven at a pecan pie taste-off. So jealous! Thanks for sharing at Inspiration Thursday! Hope to see you next week! You should certainly come to the next one! We had so much fun doing it, I am sure you could talk us into doing it again. 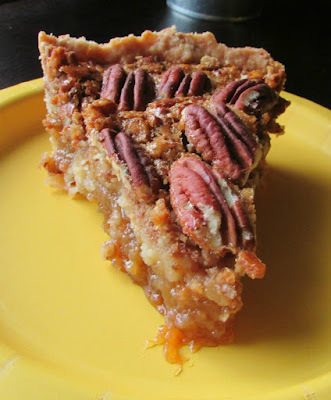 This is a delicious twist on pecan pie for sure! It still has everything you love about pecan pie, but you can definitely taste the honey. Thanks for hosting, see you Sunday! We love pecan pie at my house, this sounds delicious, great idea to use maple syrup and honey, I will have to give this a try! You can definitely taste the honey in this pie, which gives just one more layer of delicious flavor. Thanks for stopping by, I hope you love it! This looks incredible! Thank you so much for linking up at Tasty Tuesday! This post has been pinned on the Tasty Tuesday Pinterest board! I love having you and can't wait to see you next week! We were just talking about this pie again last night. It is definitely a winner! Thank you for hosting, see you next week! 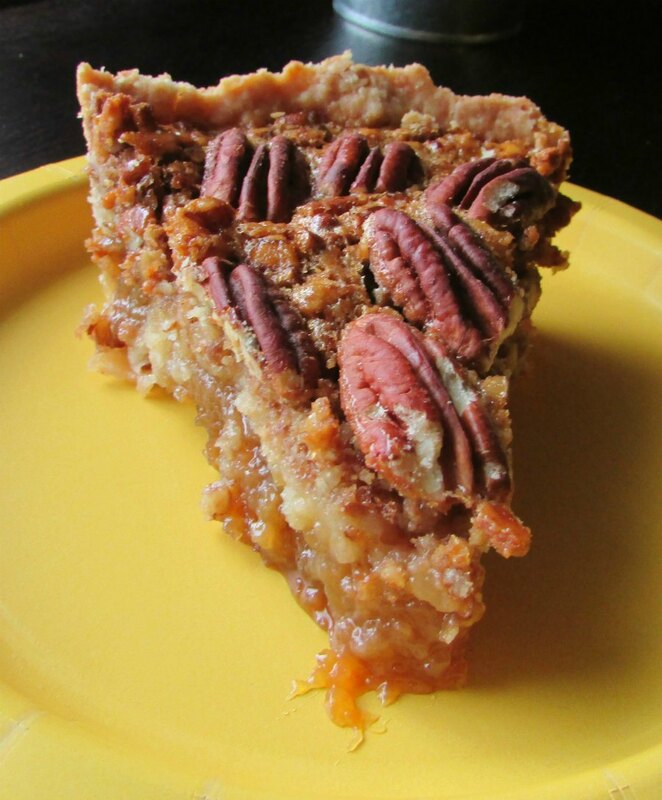 There is nothing like a great slice of Pecan Pie, this looks fabulous! Thank you so much for sharing with Full Plate Thursday and have a great day! This is a great version, the maple and honey really make it stand out! Thanks for hosting! I can't wait to see what you fill your plate with this week! Reminds me of the pecan pie I had when visiting American friends for Thanksgiving a number of years ago. Thanks for sharing with the #BlogFair. This is definitely very close to the Thanksgiving staple!